Trying to figure out how to pay for college can be a crazy process. But lucky for you, you live in Maryland where there are tons of great programs to help you pay for college. Between federal, state, and private funding sources, a college education is attainable for all Maryland residents. We’re going to help you figure out which funding sources are right for you. Are you ready to start your college journey? Then let’s walk through the four steps all Maryland residents should take to fund a college education. In conversations about financial aid, you might’ve heard of something called the FAFSA. FAFSA stands for Free Application for Federal Student Aid. Throughout the financial aid process, you’ll become quite familiar with the FAFSA. It’s the first and most important step for anyone looking to receive financial aid. The FAFSA might be a pain to fill out, but it certainly has its benefits. Just by filling out the form, you will automatically be qualified for some forms of aid such as federal grants, federal subsidized and unsubsidized loans, and some state grants. You might want to check out our step-by-step guide that explains, in detail, how to fill out every question on the FAFSA. Since the FAFSA is the first step in the financial aid process, you’ll want to fill it out earlier, rather than later. Some grants have application deadlines that you don’t want to miss. You can even apply before you know which school you’ll be attending. As we mentioned in step one, you will automatically be qualified for some grants and scholarships just by filling out the FAFSA. You will find out what aid you qualify for when you receive your financial aid letters from the colleges you apply to. They will have looked at your FAFSA and automatically qualified you for certain state programs. You can also do some research on your own to see what other programs could be available to you. To begin your search on state funding, you may want to browse the Maryland Higher Education Commission website. Click on their “Students/Parents” tab to find helpful information about planning for college, including grade-by-grade planning guides for college preparation. Howard P. Rawlings Guaranteed Access (GA) Grant for Maryland residents demonstrating financial need who have a minimum high school GPA of 2.5 and meet certain financial requirements. Howard P. Rawlings Educational Assistance (EA) Grant for students who demonstrate financial need. All applicants are ranked by expected family contribution (EFC), which is based on information reported on the FAFSA. Students with the lowest EFC are awarded first. Howard P. Rawlings Campus-Based Educational Assistance Grant financially assists students who were not considered for the Howard P. Rawlings Educational Assistance Grant due to not filing out their FAFSA. Part-Time Grant for students enrolled in a two or four-year Maryland college or university as a part-time student. 2+2 Transfer Scholarship for students from Maryland community colleges to attend four-year institutions within the state. Delegate and Senatorial Scholarships for students enrolled full- or part-time at a two-year or four-year Maryland college or university. Charles W. Riley Firefighter and Ambulance and Rescue Squad Member Scholarship Program for actively engaged career or volunteer firefighters, ambulance or rescue squad members. Edward T. and Mary A. Conroy Memorial Scholarship Program & Jean B. Cryor Memorial Scholarship Program for the son, daughter, stepchild, or the surviving spouse of a member of the United States Armed Forces who died or was disabled as a result of military service. Veterans of Afghanistan and Iraq Conflicts (VAIC) Scholarship Program for United States Armed Forces personnel who served in Afghanistan or Iraq, and their sons, daughters, or spouse who plan to attend a Maryland college. For more information about Maryland grants and scholarships, visit this page. If you’re a high school student, one of your most valuable resources in scholarship hunting will be your guidance counselor. Guidance counselors are very knowledgeable when it comes to local scholarships. You will most likely be able to find information about local scholarships on their bulletin boards or websites. Another smart option is to do your own search online. You’d be surprised how many scholarships are out there, you just have to find them. You can search scholarships by major, scholarships for musicians, scholarships for athletes, etc. Many Maryland colleges also offer scholarships, so be sure to check out the websites of these schools or call their financial aid offices for more information. CollegeScholarships.com is a great resource for local scholarships. You can visit this site for a variety of Maryland scholarships, including scholarships for certain counties. For example, Frederick County has 155 scholarships just for county residents. For a complete list of scholarships by county, visit the link above and scroll to the bottom. Another helpful website for scholarship hunting is Sallie Mae's Scholarship Search. This is a scholarship database that is constantly updated with new scholarships. Big Future by College Board can also be a help in your search for scholarships. There, you can find aid from over 2,200 different programs. Besides just scholarships, Big Future is also useful if you need help choosing a major or even looking into different career options. 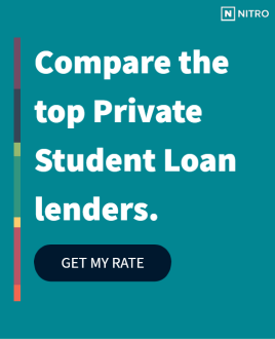 If you’ve exhausted your options between grants, scholarships, and federal loans, a private loan might be able to provide the remaining difference that you’ll need. Before taking out any Maryland private loans, check out our free NitroScore tool. It can help you decide if a private loan is the right move for you. All you have to do is enter a college and major, and the tool will do the rest. It will tell you your total costs of education, projected salary after graduation, and a score that tells you how easy or difficult it’ll be to pay off your loans. You can customize these results with different factors such as scholarships, grants, and savings, and you can even compare different college and major combinations. From there, you can find out which of our highly trusted loan partners can give you the best rate. As we’ve discussed, there are many resources available to Maryland residents to help fund a college education. You can’t start the process too soon, so start planning for your future today.